This is Charlie. She thinks she’s a dog. She does tricks, Steals food, and has recently started stealing and chewing on her moms shoes. Bad bunnnnn. She is way…. way…. to cute to be mad at…. You go Charlie….!!! She is beautiful. I couldn’t be mad at that little face. Enjoy her. Oh my gosh! That Charlie there looks EXACTLY like a rabbit I used to have, who was also called Charlie! Also, my Charlie used to chew lots too! Shes cute, I want to hold her. 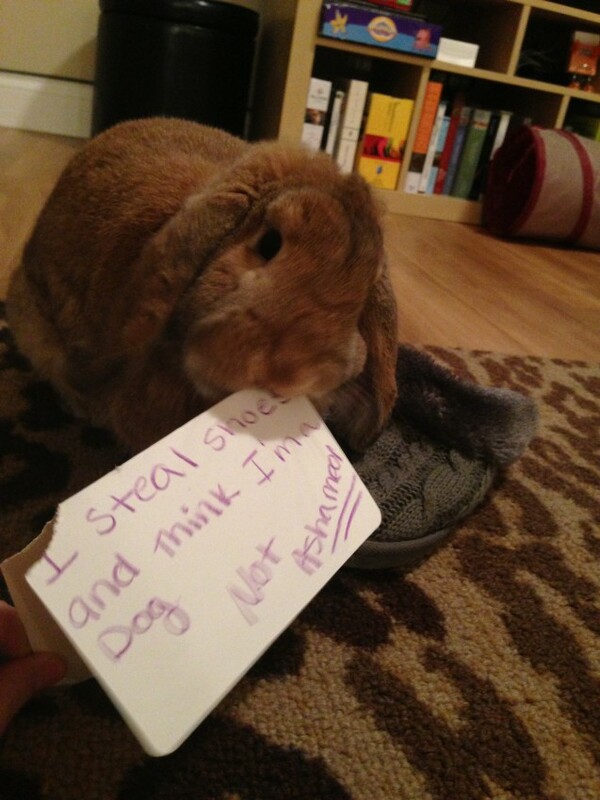 At this rate dogshaming will need to ‘branch’ out and open a couple more pages ..
A bunny! 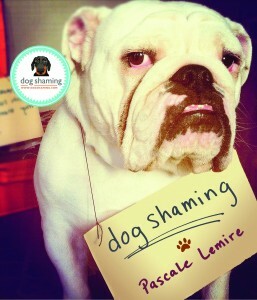 I love Dogshaming.